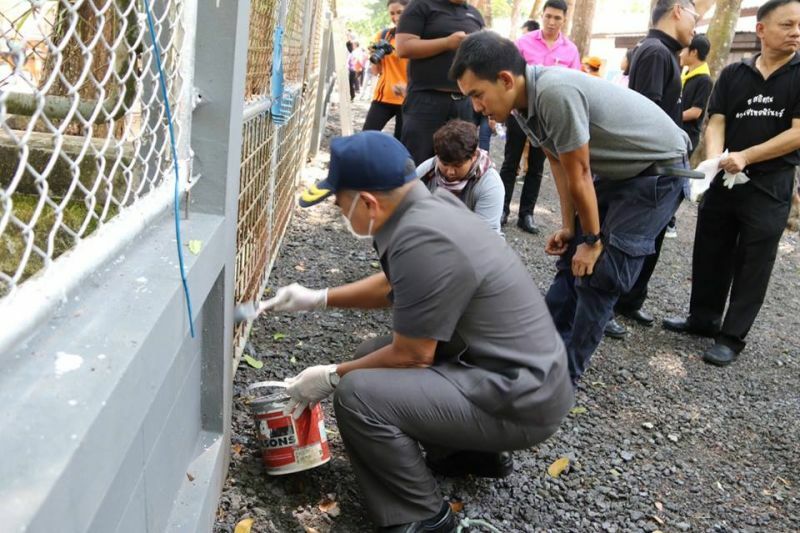 PHUKET: Phuket Governor Norrapaht Plodthong led the a “Big Cleaning Day” at the Phuket Stray Dog Shelter at Bang Khanun Forest Park in Thalang on Tuesday (Mar 20) where he stated that the facility needs a dog crematorium to burn not only the bodies of dead dogs from the shelter but also outside. Gov Norraphat officially opened the Big Cleaning Day project at 10:30am on Tuesday where he was joined by Chief of the Phuket Livestock Office Surajit Witchuwan, Chief of the Phuket Provincial Agriculture and Cooperatives Office Chalard Kaewkhao, Chief of the Phuket Chamber of Commerce Daecha Petwong and others. 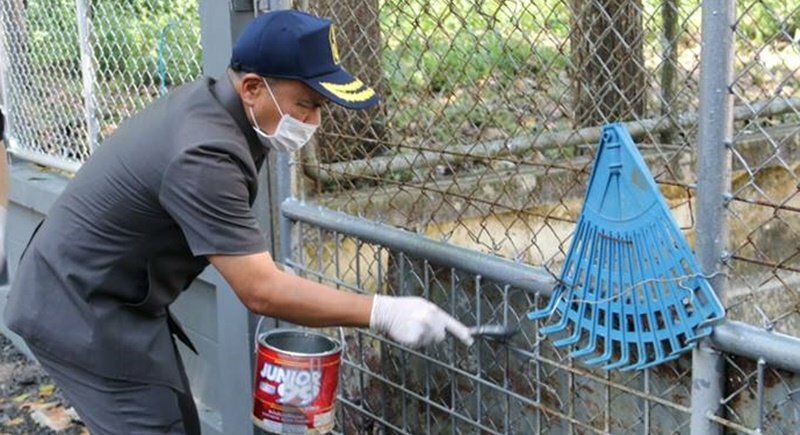 During the activity walls and fences of all 11 shelters at the facility were painted and rabies vaccine and germicide injection given to all dogs in the shelter. Speaking at the event, Gov Norraphat said, “We are glad that Phuket is free from rabies. Furthermore, we are continuing to try to manage the stray dog situation in Phuket with cooperation from the Soi Dog Foundation (SDF) and the Phuket Stray Dog Shelter who look after many stray dogs in Phuket. “The Phuket Stray Dog Shelter is in the care of the Phuket Livestock Office. It was built in 2003 and now there are about 500 to 600 dogs at the facility. “This stray dog shelter is a place to keep dogs which have been were abandon at temples. When people report stray dogs, officials will be sent to collect them,” Gov Norraphat explained. “In the past the shelter was in a bad state of deterioration. However, the shelter has been renovated butthose renovations are not yet totally complete. “The renovation was adapted from the Soi Dog Foundation. Academic principles are used such as sterilisation and vaccinations. The plan of the renovation is to cover all the ground with concrete so that it will be easy to clean. 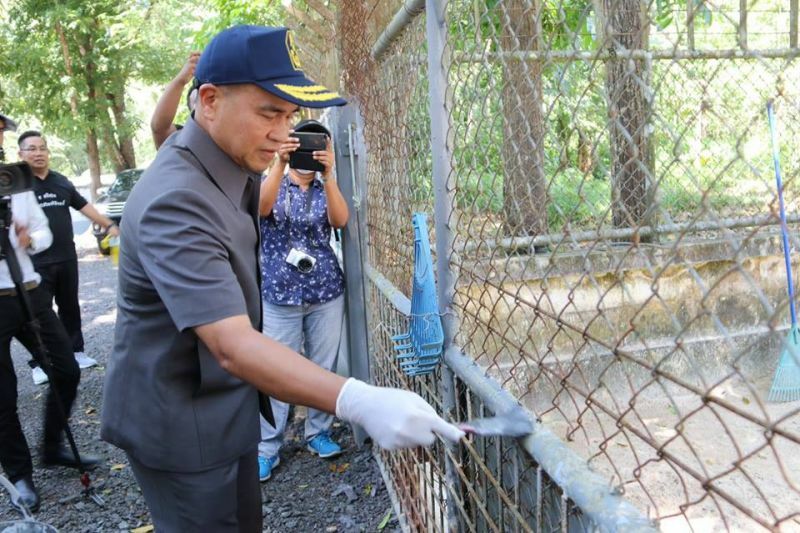 Dogs excrement has to be managed,” Gov Norraphat said. “In the future the facility should have a dog crematorium to burn the bodies of the dead dogs. This is also now becoming a problem. “If we install a crematorium here at the facility we can not only burn dead dogs from the shelter, but also from outside. The crematorium must be accurate due to the academic principle that was set,” Gov Norraphat noted. Did we all read the today Bangkok Post report rabies vaccine scandal? After reading, are we still sure Phuket is rabies free? With or without this rabies vaccine scandal it is dumb to declare a province 100% rabies free. Specially when authorities in Bangkok declared a increase of rabies. Stray dogs are not under control, so rabies is not under control.